09-day Spain vacation package combining travel by highspeed train with private local guides for the sightseeing. Delight in all that Madrid, Toledo, Seville, Granada & Barcelona have to offer. Itinerary is flexible and possible to customize according to when and where you would most like to visit. Can also be done in reserve order. Welcome to the fabulous city of Madrid. Meet at the airport on arrival and transfer to the hotel. After a chance to get settled in, enjoy an afternoon orientation tour including a visit to the impressive Royal Palace. Your guide will bring to life the most important buildings, avenues and squares of the city. Admire main landmarks like the Plaza Mayor, a unique porticoed square located at the heart of old Madrid quarter, Puerta del Sol, meeting point for locals and visitors where the Royal Post Office is situated, The Cibeles and Neptuno neoclassical monumental fountains, Gran Vía avenue, the Retiro Park which is now a popular park. Depart by train to Toledo and on arrival meet up with local guide to begin tour exploring this monumental city, formerly the Spanish Empire capital. Admire the city´s outstanding views over River Tagus and a walking tour with your expert local guide, entering to the old quarters to visit the Plaza del Ayuntamiento and discover the facade of the impressive Primate Cathedral, the old Palace of Justice and the City Hall. Continue your walk through the old Jewish quarter with its narrow streets to the Church of St. Tomé, with the very famous painting of El Greco “The Burial of Count Orgaz” and the old Synagogue of Ste. Maria la Blanca, which remain as a symbol of the coexistence of the “Three Cultures”. Then at chose time, return back to Madrid by train with remainder of the day & evening free at leisure to further explore on your own. Depart by train to Cordoba and on arrival meet with local guide to begin exploring this city. UNESCO recognized the universal importance of Cordoba's historic legacy, and extended the title of World Heritage Site not only to the Mosque/Cathedral, but also to all the streets and buildings around it. Explore the flower-lined streets of the Jewish Quarter discovering main sights like the Medieval Synagogue, the Castle of the Christian Monarchs and the unique Mosque-Cathedral, one of the most amazing buildings in the world in its own right. Then by private car with driver, travel from Cordoba on to hotel in Seville for overnight stay. Morning your local guide takes you to discover this wonderful city. 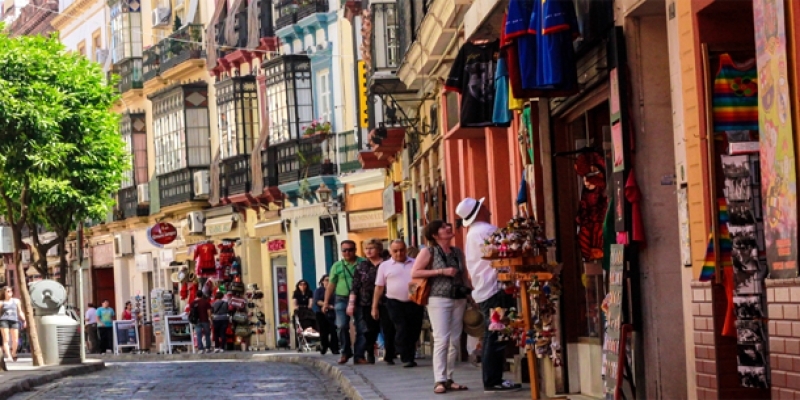 Explore the beautiful cathedral, the third largest in the world and stroll through the picturesque Barrio de Santa Cruz. The afternoon is then free at leisure to continue exploring on your own and if you wish we can arrange for you to enjoy a Flamenco performance. 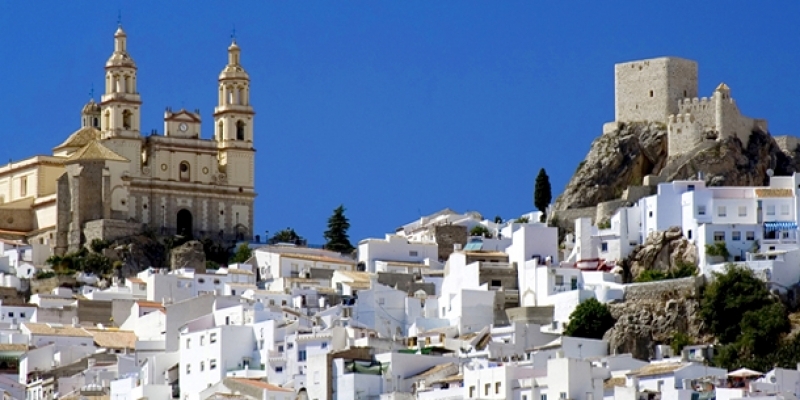 Meet at hotel with your private driver-guide and depart from Seville to Ronda & the White Villages. Ronda is one of Andaluciaʼs most beautiful towns & famous throughout Spain for the gaping river gorge with a sheer drop of 120m dividing the medieval from the 18th century parts of the town. As well as being an obvious tourist attraction, the area around Ronda has become well-known among enthusiasts as a producer of very good red wines and to a smaller extent of whites. While here visit a winery for tasting the a chance to sampling some wonderful food & superb views. End of day with arrival to hotel in Granada. Your tour guide will be waiting to meet up with you to begin a private tour of the Alhambra & Generalife. 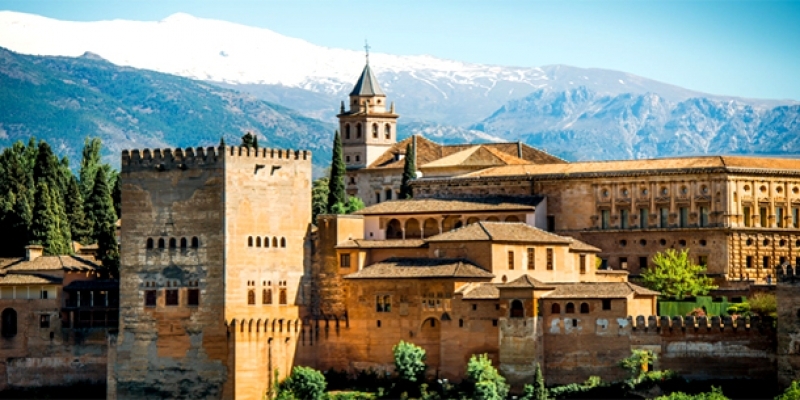 The Alhambra rises up like an imposing castle with its distinctive reddish stone in its ramparts preventing the outside world from seeing the delicate beauty enclosed within. The Alhambra ranks among the world’s finest examples of Islamic art with carved cedar-wood, infrequent stucco work, gorgeous mosaics. The complex of monuments is formed by the stunning Moorish palaces and the Palace of King Charles V, a Renaissance building, inside the Nasrid fortification of the Alhambra, as well as the Alcazaba fortress and an opposite independent palace: The Generalife, surrounded by orchards, tranquil pools, fountains, beautiful gardens which you will also visit. Remainder of the day is then free at leisure for you to stroll around and soak in more of the amazing atmosphere. Transfer to the airport for a morning flight to Barcelona. In the afternoon enjoy a guided tour of the Gothic Quarter which provides you with a general overview and intro to the city. Today your local guide will take you to visit the monuments of your choice. 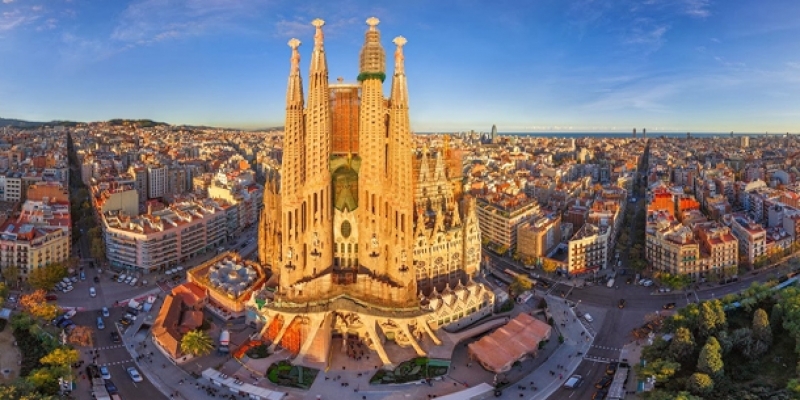 There is so much to do and see in Barcelona that we base this day on your particular interests. The famous markets, the Ramblas and Gaudí architecture are just some of the many highlights. *Additional days & areas can be added, so just let us know what you would prefer to do / where you wish to visit etc and we will plan a tailored itinerary accordingly. For example add extra days in Barcelona & tours to surrounding areas etc. The trip was absolutely wonderful. Everything that was listed on the itinerary occurred right on target just as you said it would. The trip was planned with a lot of fore thought for shopping, eating, watching, travelling and good leisure time. We did not feel rushed at all. I wish now that we had left some time for Turkey, but I didn't want to bite off too much and I certainly would not have left anything off our trip. I would like to thank you for attending to our trip as if it were your own. I would be happy to give positive testimonials to anyone that asks for your credibility and ability. We are very happy with the results of our travelling and will get in touch with you when we are in that area again. I would happily return- Greece has so much history and so much to see and do as I am sure Turkey does as well.